From the impeccable creative minds of The Wachowskis, J. Michael Straczynski, and Grant Hill, comes what could be the most ambitious television projects in a long while: Sense8 is set to launch at Netflix next month and we have our First Look at the high-concept sci-fi series with the release of its first trailer by Netflix. Frankly, anytime The Wachowskis decide to take on the chores of creating a TV series is in and of itself, a must-watch television event. With their upcoming Netflix television project in collaboration with J. Michael Straczynski and Grant Hill, we got ourselves the most anticipated new television series of 2015. 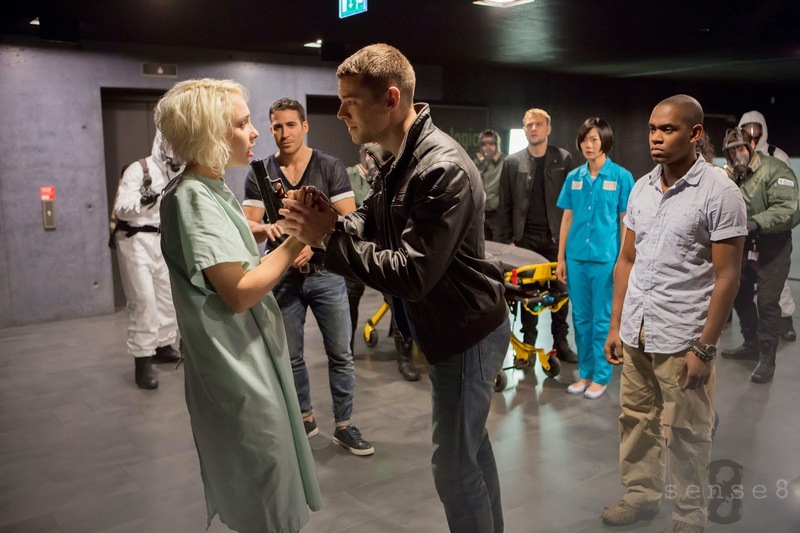 As we find ourselves comfortably tucked in the Golden Age of Television, our First Look at Sense8 still struck us as the bold new entry that might just take the Golden Age to a whole new level. With the high concept of eight strangers living in disparate parts across the globe suddenly finding their minds irrevocably linked as they reborn as "Sensates" with a mysterious organization hellbent in their quest to capture or destroy them, Sense8 features an international cast with Naveen Andrews, Brian J. Smith, Tuppence Middleton, Jamie Clayton, Miguel Angel Silvestre, Tina Desai, Doona Bae, Aml Ameen, Max Riemelt, and Darryl Hannah. "We started out at one point talking about how evolution involves creating ever greater circles of empathy: You belong to your family, then you belong to your tribe, then two tribes link up and now you have empathy for your people on this side of the river, and you’re against the people on the other side of the river... on and on through villages, cities, states and nations... So what if a more literal form of empathy could be triggered in eight individuals around the planet... who suddenly became mentally aware of each other, able to communicate as directly as if they were in the same room. How would they react? What would they do? ... What does it mean? And what would the world think about people with this ability? Would they embrace it, or hunt them down...? It would give us a perfect platform to do a show that was loaded with action, big ideas, some amazing stunts that no one’s done before, and play to a planetary audience." 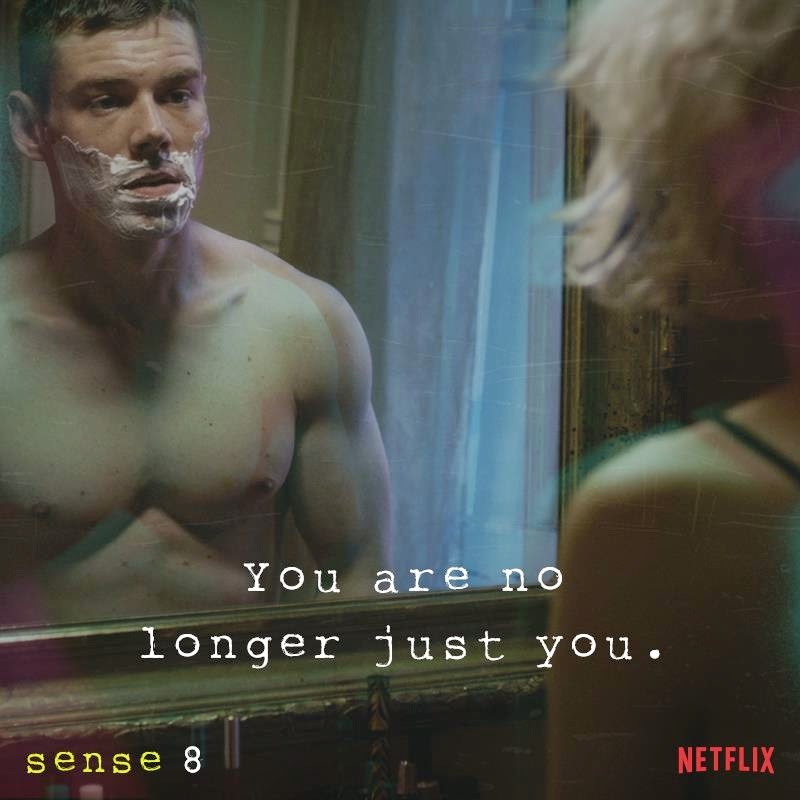 Now that you get the idea that the title is a play on the word sensate, you can share our delight at the 12-episode series set to be launched on Netflix next month with its first trailer embedded right below. Official images from the series. 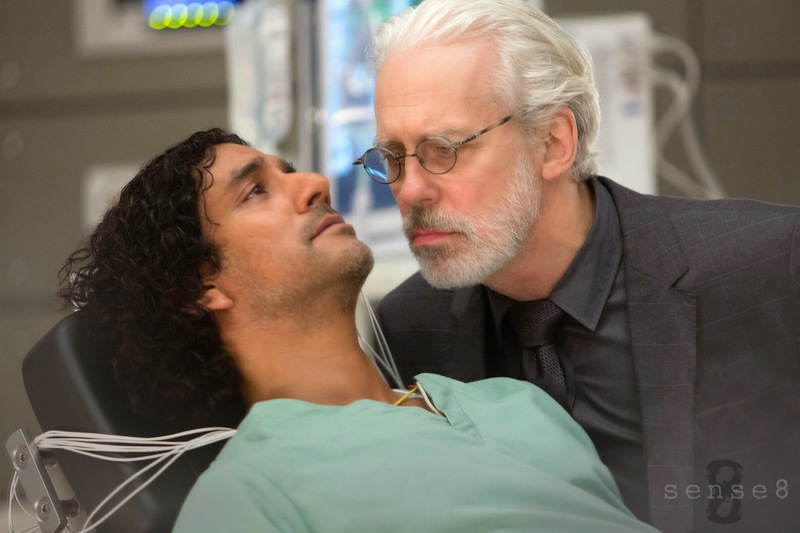 From the unparalleled creative minds of The Wachowskis (“The Matrix” trilogy, “Cloud Atlas”) and J. Michael Straczynski (Clint Eastwood’s “Changeling ,” ”World War Z”), as well as Grant Hill (“The Matrix” trilogy, “Cloud Atlas”), Sense8 is a gripping story of eight people from around the world whose lives are suddenly and inexplicably connected in a fight for their own survival. 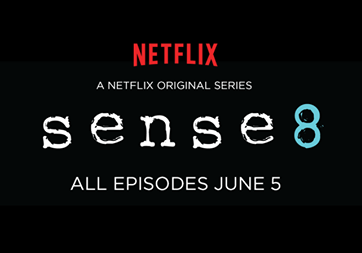 As with all Netflix original series, all 12 episodes of Sense8 will be made available upon its launch on June 5, exclusively on Netflix .